Aston Martin has shown its latest creation, the Vanquish Zagato Volante, at the Concours d'Elegance in Pebble Beach, California. 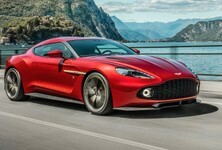 Do you remember the phenomenal Vanquish Zagato coupe shown earlier this year? 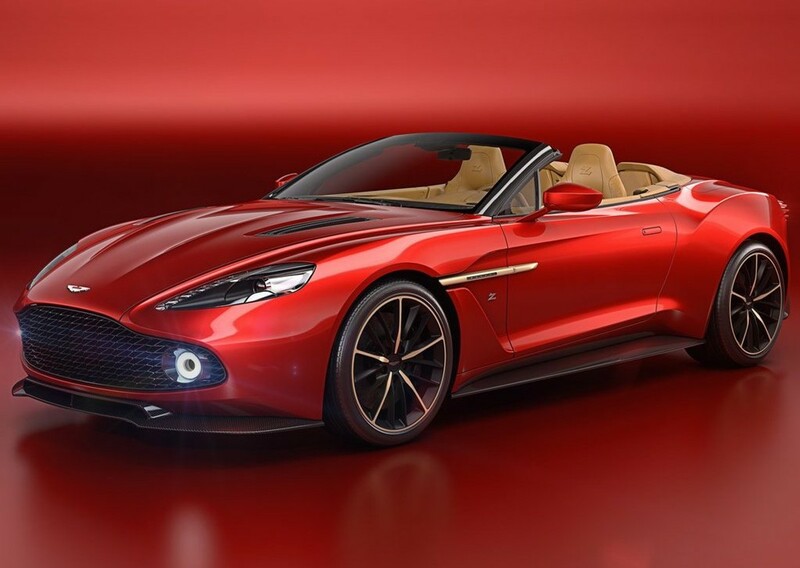 Well, Aston Martin has shown the convertible version at the 2016 Concours d'Elegance, and it looks exquisite. 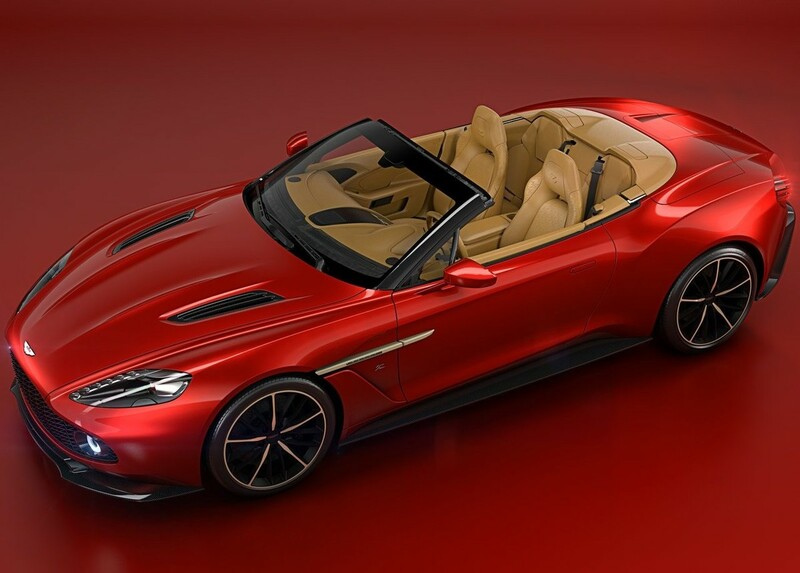 The Vanquish Zagato Volante is the result of a collaboration between the Aston Martin and Italian design house, Zagato, and only 99 examples will be produced at Aston Martin’s headquarters in Gaydon, England. 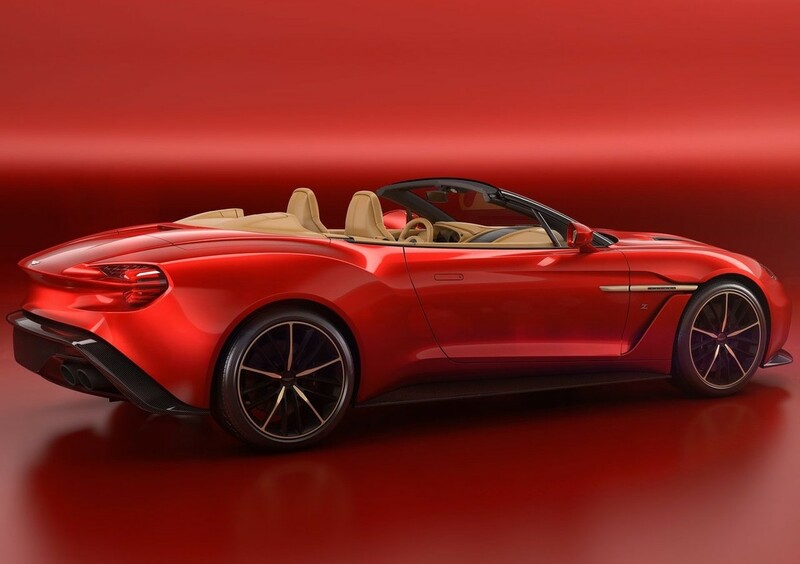 The Vanquish Zagato Volante will be powered by the same naturally aspirated 6.0-litre V12 engine found in the coupe version. 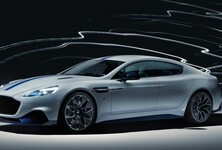 Power has been bumped up to 441 kW and the car is capable of sprinting from zero to 100 kph in about 3.7 seconds. 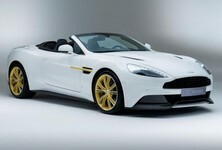 The Aston Martin Vanquish Zagato Volante features a bespoke interior with high-quality finishes. 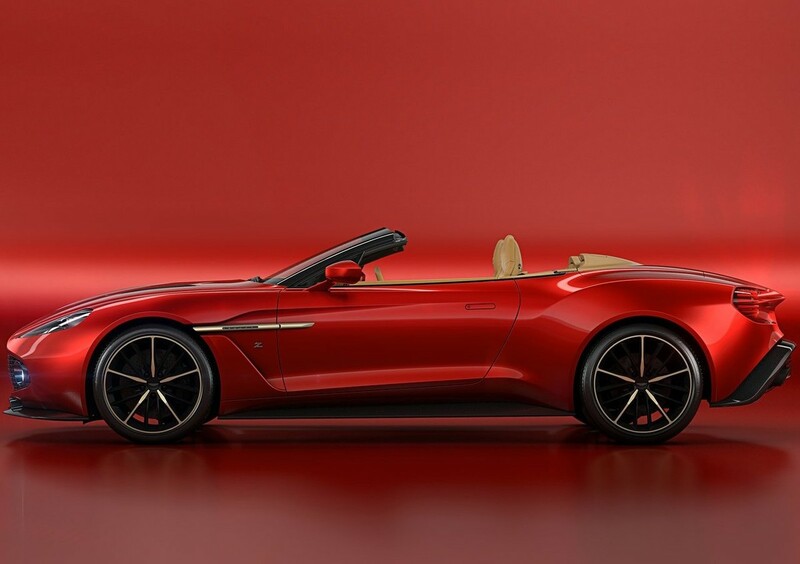 The Vanquish Zagato Volante shares its proportions with its coupe sibling and the round tail lights with bladed LED technology (similar to that found on the Vulcan supercar) are particularly striking. 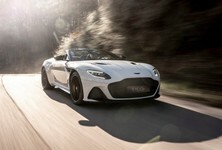 The folding hood mechanism is derived from the Vanquish Volante and carbon fibre sills are seen running along the lower body to provide horizontal emphasis. 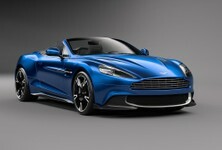 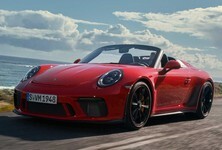 "Just like the Coupe, we have emphasised the way surfaces change and intersect to create a muscular form. 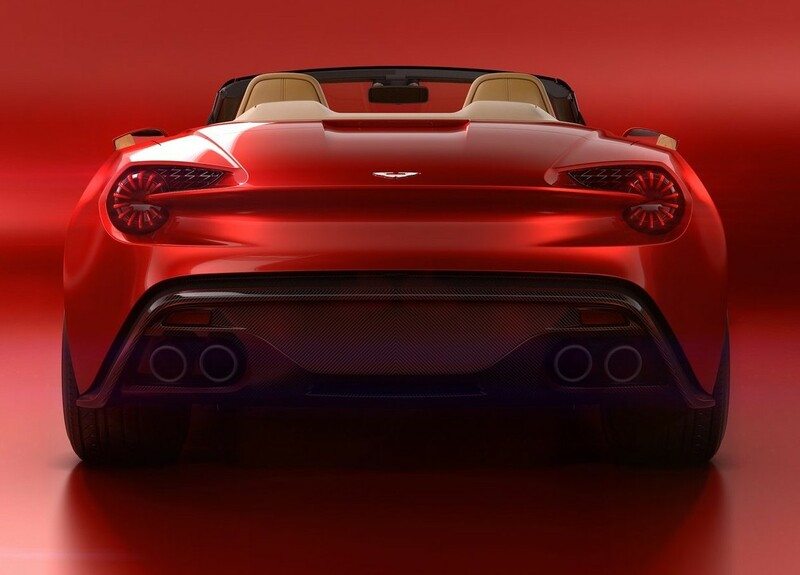 We've endeavoured to create an elegant, flowing shape that really works to emphasise the car's sculpted rear haunches" says Aston Martin's EVP and Chief Creative Officer, Marek Reichman. 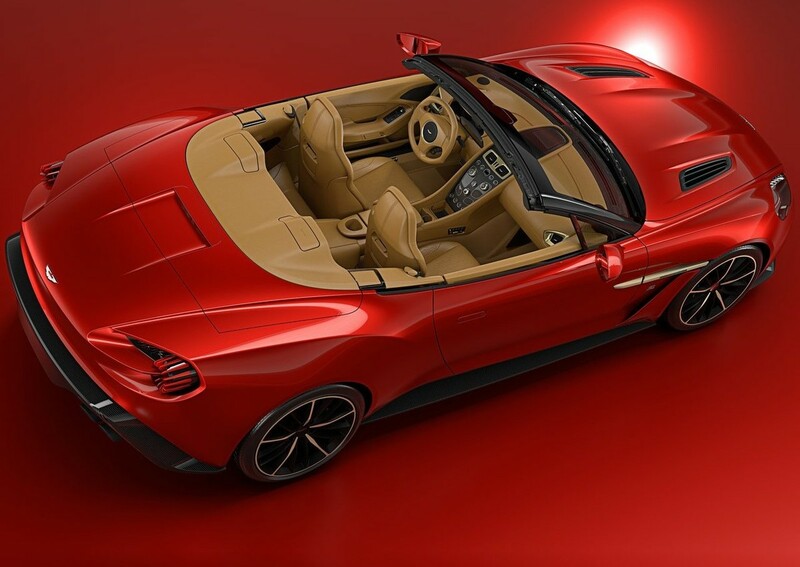 The interior is finished in high-quality materials including herringbone carbon fibre, anodised bronze detailing and fine Bridge of Weir leather. 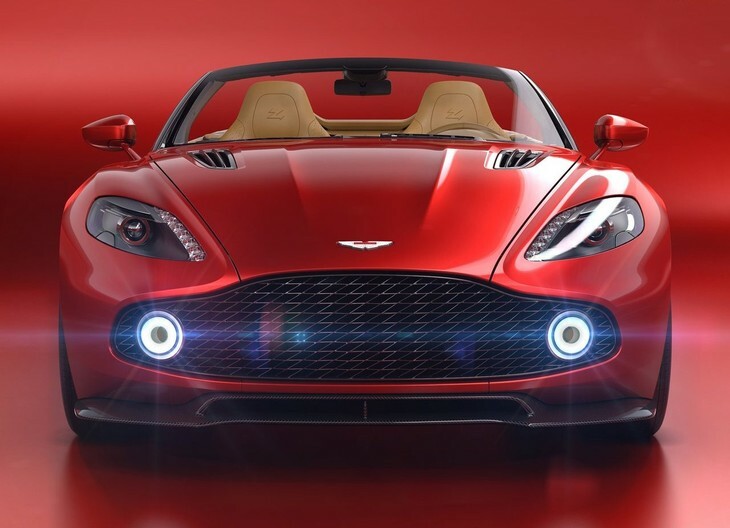 A signature ‘Z’ quilt stitch pattern is found on the seats and door sections, while the trademark Zagato ‘Z’ is embossed on the headrests and also stitched into the centre console.